Japan is probably one of my favorite places in Asia. I’ve been there three times in my life and it’s managed to capture a piece of my heart forever. Of the three times I’ve been to Japan, two of my visits were just a few days short of catching the magnificent cherry blossoms in full bloom! During my recent trip to Japan this March, I was lucky enough to catch a few cherry blossom trees in bloom–the early birds, I called them! Still, my heart was happy to catch a glimpse of the iconic pink blooms. One day, I will make sure to return when the whole of Japan is covered in those pink blooms. I may not have experienced Sakura season in full bloom in Japan and it’s okay because I recently got to experience it here instead at Tokyo Tokyo’s Sakura Festival! 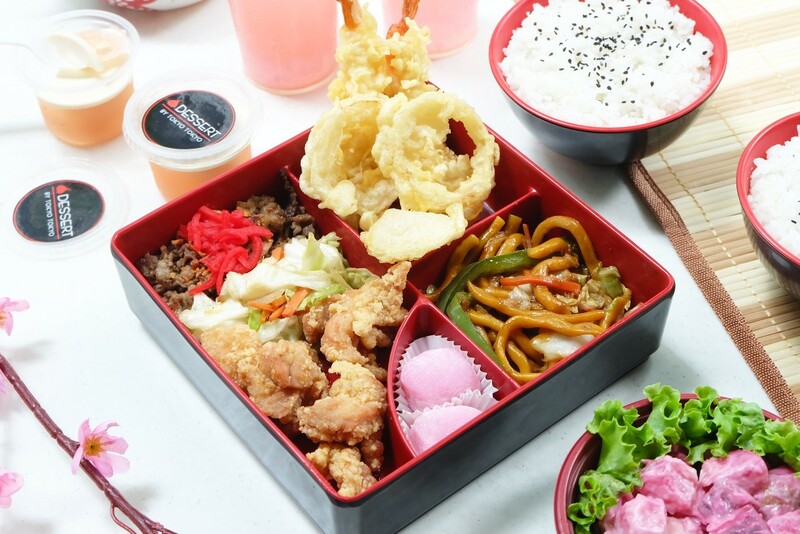 To celebrate the iconic festival, Tokyo Tokyo created a limited edition Sakura inspired bento meal called the Sakura Sumo Meal! 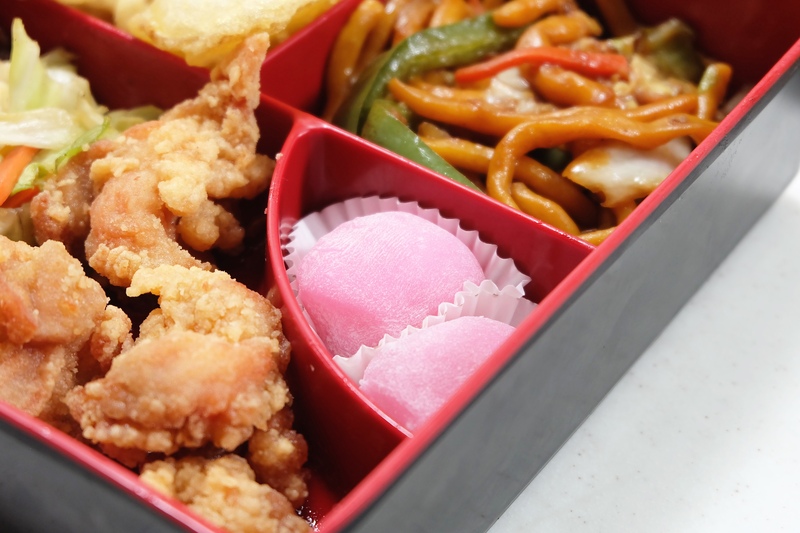 It contains everyone’s favorites Tokyo Tokyo classics and paired with pink-colored treats which are perfect for sharing. 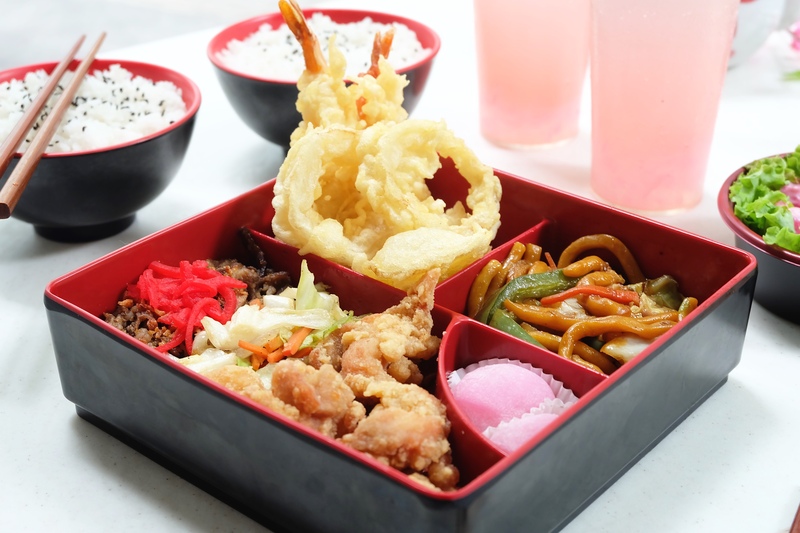 An order of the Sakura Sumo Meal is composed of 3-pc fried Chicken Karaage, Beef Misono, 2-pc Prawn Tempura, Vegetable Tempura, Vegetable Misono, Yakisoba, and 2 bowls of steaming hot rice. 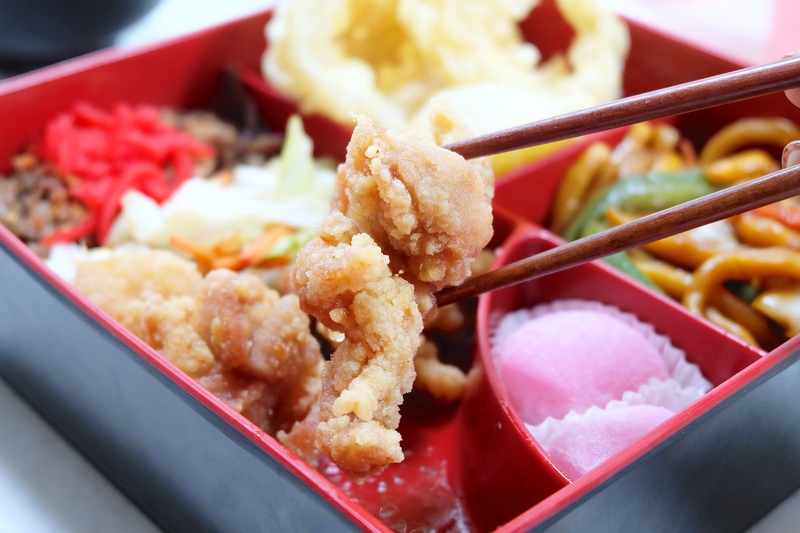 These karaage are so plump, juicy, crispy and all sorts of perfect. Foodie tip: I like to pair these little gems with Japanese mayo because I’m obsessed with Japanese mayo!!! This best-selling beef misono is a lovely break from all the from the fried chicken karaage. Tasty! 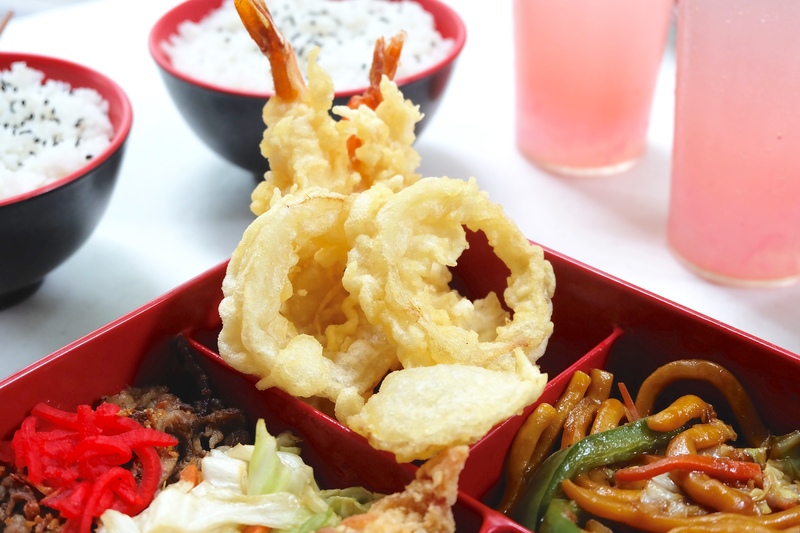 Of course, how a winning bento for me cannot miss out on tempura! 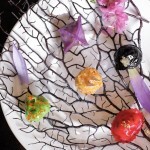 All of the dishes above make a lovely match with fluffffehhh white Japanese rice. Aside from these favorites, the Sumo Meal also comes with 2-pc chewy Sakura Mochi Balls (the mochi is done perfectly, btw! 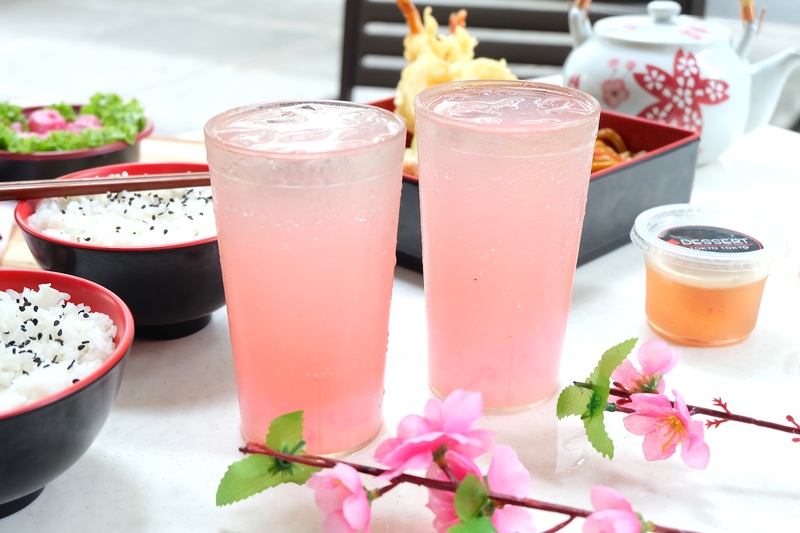 ), a roll of pink-colored glutinous rice cake with delectable peanut butter filling; and 2 glasses of Sakura Lychee Fizz, a combination of Sprite and Sakura syrup with soft and flavorful nata strips. 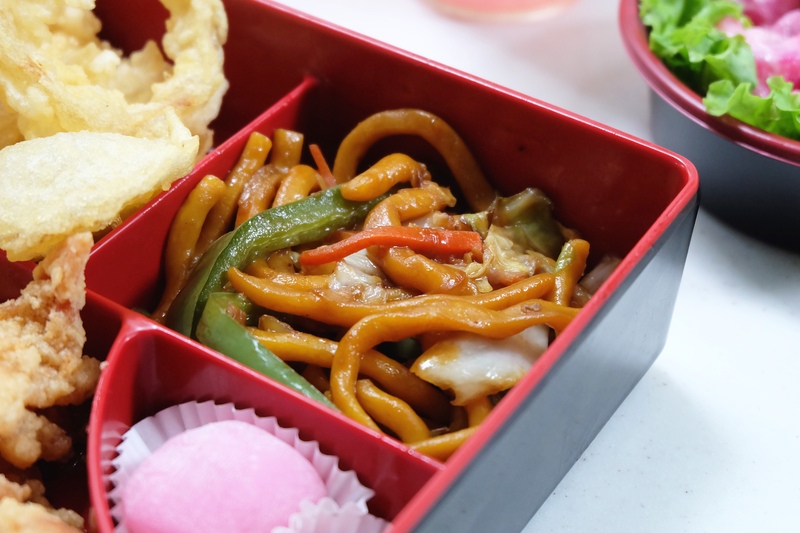 These fizzy lychee-flavored concoctions woukd have to be one of my favorite parts of this bento set. I love anything lychee and Tokyo Tokyo absolutely nailed this drink! 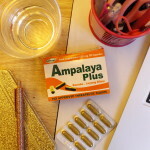 This, guys, is the answer to the craaaazy summer heat we’re all experiencing right now. 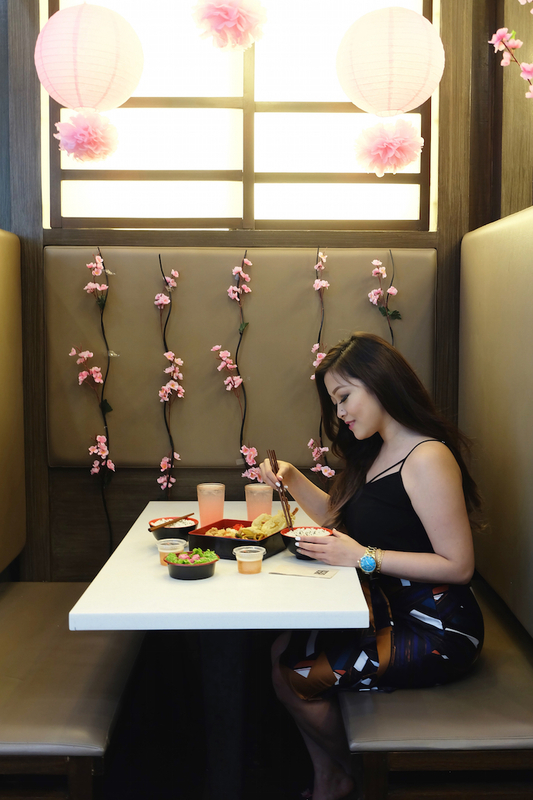 And if you still have more room in your tummy for more Sakura inspired dishes, you can take you sakura season celebration up a notch by upgrading your meal with another dessert or side dish. Or better yet, get both! 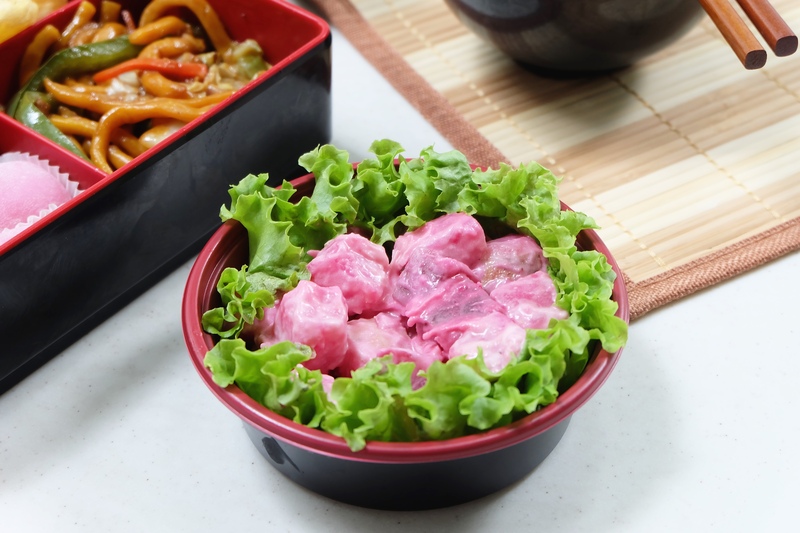 For only P70, you can add a Sakura Potato Salad which is made up of potato cubes, kani strips, and beets on a bed of lettuce and Japanese mayo. For dessert, you can add Sakura Lychee Jelly, a lychee-flavored dessert with fresh fruit bits and topped with cream cheese. 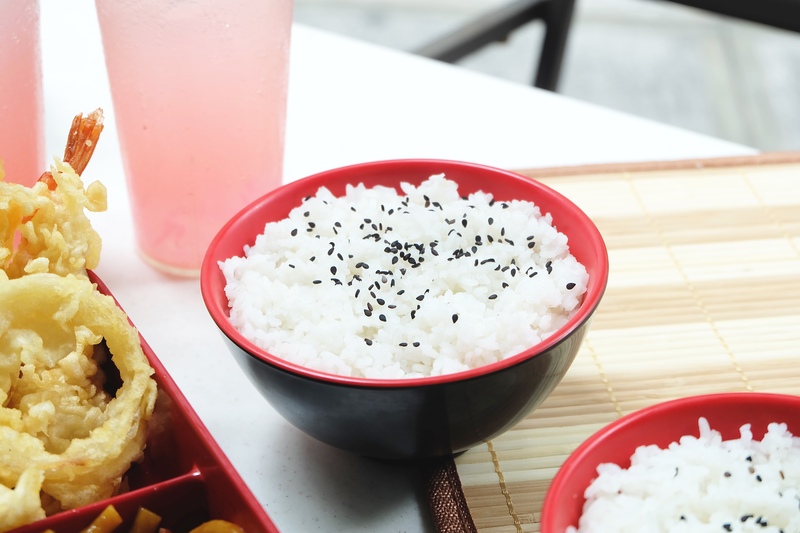 This super filling Sakura Sumo Bento for two costs only P379. I really wish I could have enjoyed it with Josh because I couldn’t finish the huge sumo meal all by myself. Unfortunately, he had school when I got invited to try out the meal. 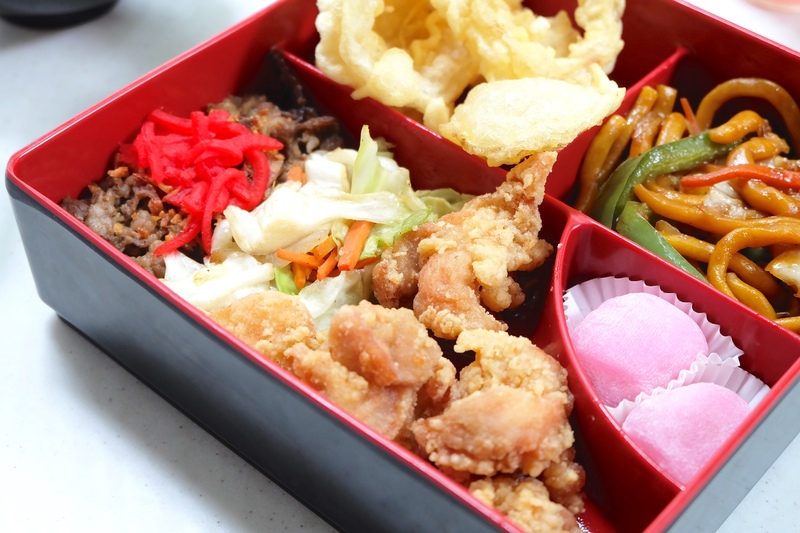 Just like the fleeting sakura season, this Sakura Sumo Meal is only available for a limited time only so make sure to try it as soon as you can!